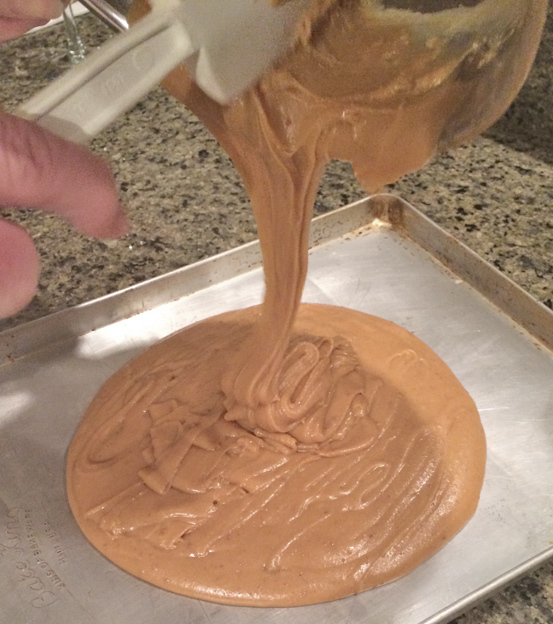 Nan-Nan's White Peanut Butter Fudge | Let's Cook With Bry! 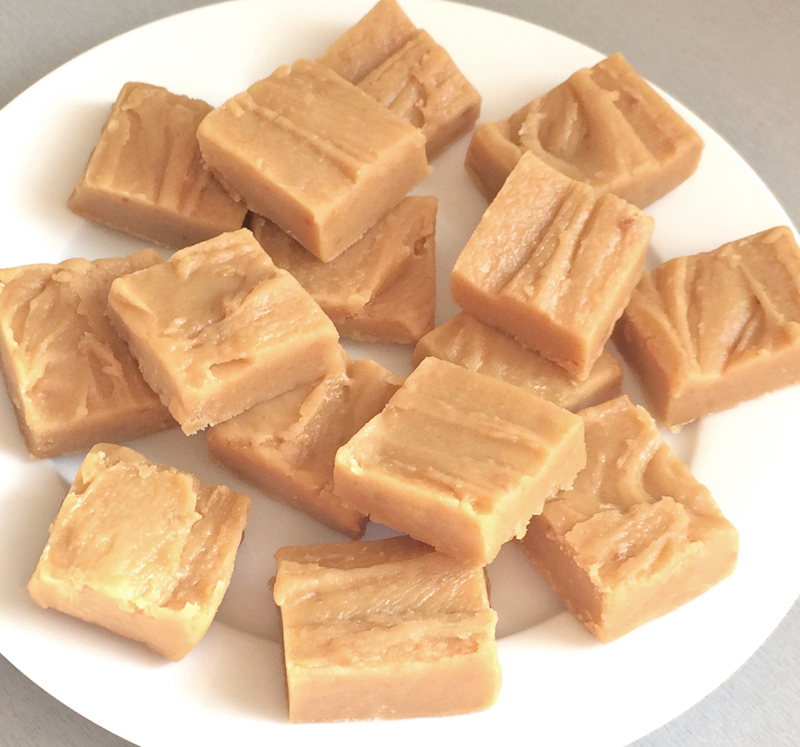 My Nan would make this fudge for me around the holidays when I was much younger, and through the years she would occasionally surprise me with a batch. It’s one of my most cherished memories of the many loving things she did for me. Miss you, Nan Nan! And thanks, Mom, for honoring her and continuing the tradition. 2 cups (16 oz.) sweetened condensed milk – check the label, not all cans are 8 oz. Heat the sugar and milk in a large saucepan over medium heat and bring to a boil. 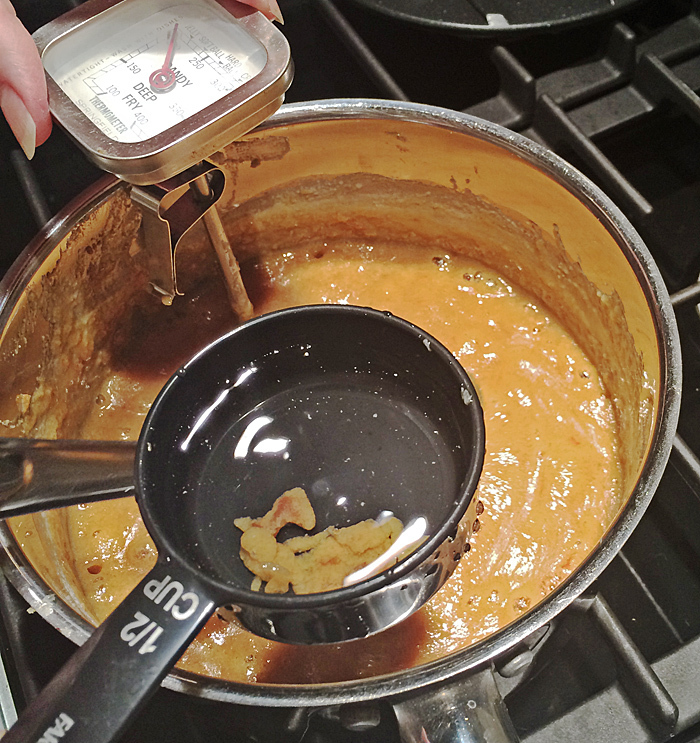 Using a candy thermometer, heat to soft ball stage (235-240 degrees), stirring frequently and scraping the bottom and sides of the pan so it does not scald or burn. This will take some time – Mom says, “Have a glass of wine and lots of patience!” You can feel the consistency as you’re stirring: it will begin to thicken up on the spoon, and it will darken in color a bit. You can also test its readiness by dropping a small amount in some water – if it can be formed into a soft ball, it’s done. Remove from heat immediately. Add the vanilla, butter and peanut butter, and mix thoroughly. Spread evenly in a pan and let cool. Cut into the desired sized squares, and ENJOY!